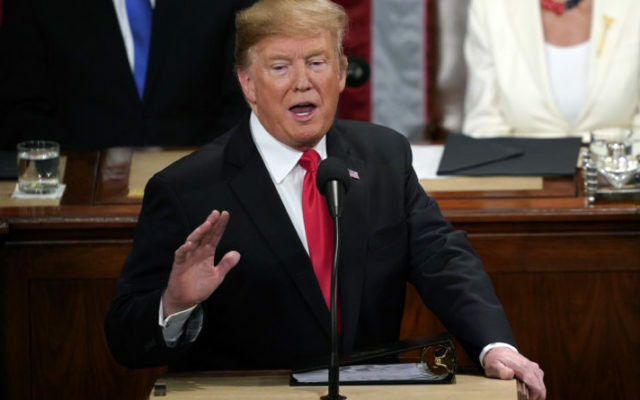 Maine’s congressional delegation found areas of agreement after President Donald Trump’s State of the Union address on Tuesday night but want to see the combative Republican follow through on his call for unity and cooperation. Rep. Chellie Pingree, a Democrat from Maine’s 1st District, said the president touched on several areas where he can find agreement with congressional Democrats, such as investing in rural infrastructure, paid family leave and lower prescription drug prices. “The disparity he noted about the higher prices Americans pay for medications compared to other countries is absolutely true, and [it’s] one I’ve introduced bipartisan legislation to address,” Pingree said. In his address, Trump touted a decline in prescription drug prices, but data show drug prices are still rising. The Consumer Price Index for prescription drugs shows a 0.6 percent reduction in prices in December 2018 when compared with December 2017, the biggest drop in nearly 50 years, according to the Associated Press. But the CPI showed a 1.6 percent increase in 2018 over 2017. While Pingree said she agreed with Trump’s call for Democrats and Republicans to work together, she said the big question is whether Trump will follow through on that message. “We’re still recovering from the longest government shutdown in American history, and he has issued threats to start another if he doesn’t get his way on a border wall. If he is really serious about unity, he should stop demonizing those who seek safety in our country and start working in good faith with Congress on immigration, effective border security, and funding the government,” Pingree said. In a symbolic gesture, Pingree had invited whistleblower Joel Clement, a Falmouth native who formerly served in the U.S. Department of Interior official before being demoted last year after filing a complaint against the Trump administration for ignoring the effects of climate change on Alaska natives. U.S. Rep. Jared Golden, a Democrat from Maine’s 2nd District, said Trump’s focus on infrastructure investments and protecting American jobs with better trade deals are two areas where he could work with the president. Golden also said that Trump’s proposal for infrastructure investments should not place the burden on local governments or small businesses. “If the president can follow through on his bipartisan talk with bipartisan leadership, I’ll work with him to improve these proposals so they deliver results for Maine people,” Golden said. Like Pingree and Golden, Collins said she saw areas of agreement between Trump and Congress on investing in infrastructure and lowering prescription drug prices. But that call for unity and bipartisanship will be tested in the coming days. On the heels of the longest government shutdown in U.S. history, negotiators are working to strike a deal between Congress and the White House on Trump’s demand for southern border wall funding before a Feb. 15 deadline, when appropriations funding several federal agencies will again lapse. That 35-day stalemate that ended late last month centered on Trump’s demand for more than $5 billion for a wall along the U.S.-Mexico border, a demand that congressional Democrats have rebuffed. Collins said last week on CBS’ “Face the Nation” that lawmakers can reach an agreement on “physical barriers” for the border but not necessarily the border wall that Trump envisions. Whether Trump will accept such an offer remains to be seen. Trump threw cold water on the negotiations just as they started last week, saying the group of Republicans and Democrats were “wasting their time” if a border wall wasn’t part of the deal. “Next week, we face a critical deadline to prevent what would be another destructive and harmful government shutdown. The recent shutdown was an example of how a refusal to compromise is a recipe for dysfunction that hurts American families and our economy,” Collins said Tuesday night.